This was one of the first Cubans I’ve smoked and it made me fall in love. I’d smoke one every day if I could. They are beautiful cigars! Highly recommended over all. Never had a bad one burns perfect every time every puff tastes amazing and is very complex. Nuts, coco, cedar, leathery and that earthy “barnyard” flavor (very pleasant). I’ve smoked these of all ages too they are never bad but of course improve with age. The 12 year old one I had was total perfection. The best DC hands down. Leather, earth, roasted peanuts, and chocolate are dominant. Velvety smoke. This cigar never disappoints. Dark and oily wrapper. 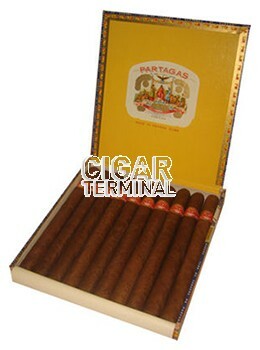 One of my favorite Havanas, a stand out in the Partagas portfolio. 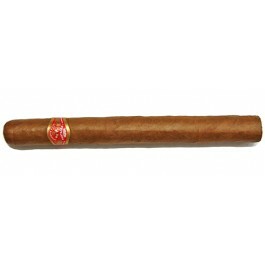 I had this cigar several years ago and really enjoyed it then, so bought 2 boxes of 10 from this site. One of the boxes had some cigars with the wrappers slightly damaged, and to their credit, CT had me ship them the box and shipped me a replacement. The second box had flawless cigars, and after waiting 3 weeks, I lit one up. First, the construction was amazing. Long cigars are often plugged or have issues with smoking, in my experience, and although this one had to be touched up a couple of times, it smoked wonderfully. The first third was very nice, full clouds of smoke, hints of spice with some nuts and a little coca, followed by a second third that was more full bodied and hints of caramel, and the last third was more of the same, a little more body, and thick smoke. I chose this cigar for it's length of smoking and full flavor and was not disappointed. The Lusitanias that I had was a year old. It started out medium bodied and finished medium full. Throughout the cigar the smoke maintained its luxurious creaminess with an oily finish. Flavors drifted from chocolate, to caramal, to nuts, to creamy peanut butter with a hint of spice throughout. After an hour and 30 minutes the strength came up and was powerful for the last 15 minutes. I need to buy more. This was my first Lusitania and I took it upon myself to order based on some considerable research. My second Partagas cigar. It delivered mouthfulls of thick smoke. The first 1/8 was very mild indeed, but it stepped up to the mark at the first 1/3 with the mix of Cuban richness, espresso, dark chocolate, and some dark cherry after notes. It was a pleasure to smoke, right past the band after which a little bitterness developed. I ordered a box of ten, and will certainly put down an order for 25 or 50 and lay them to rest for a while. In my opinion, not a good cigar but a great cigar. You must however make sure you have the 90 minutes minimum to sit back and relax without interuption.